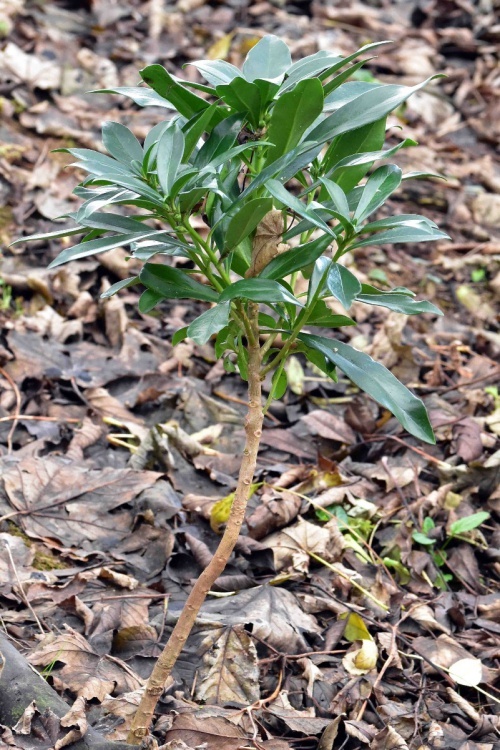 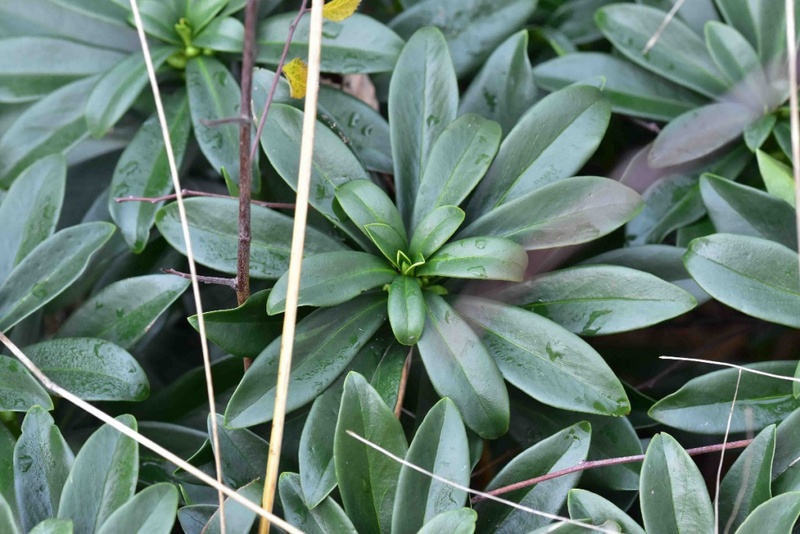 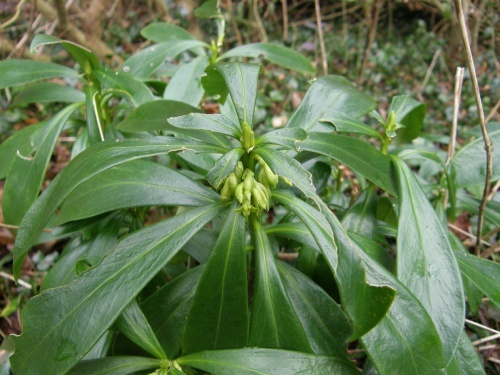 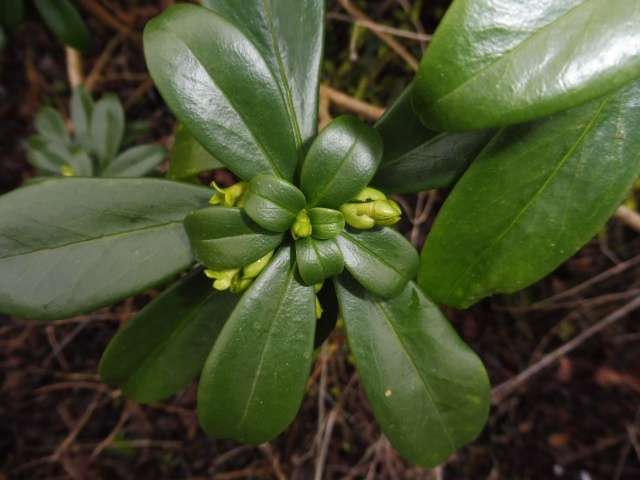 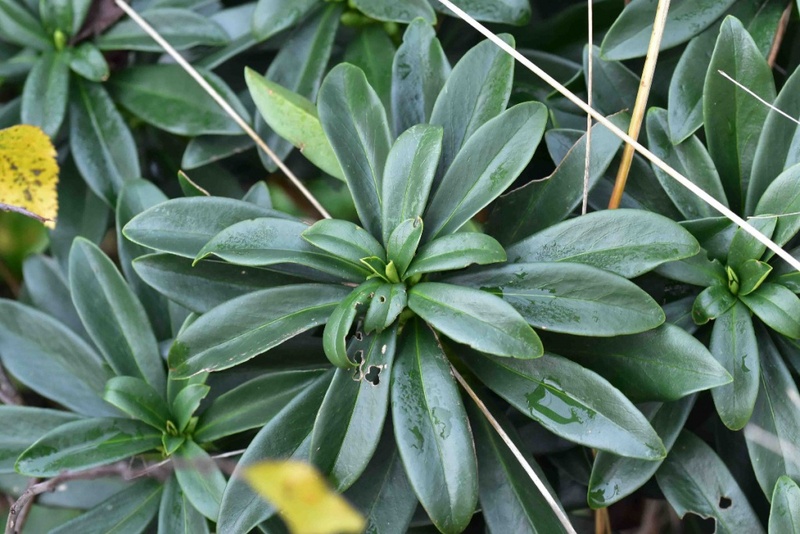 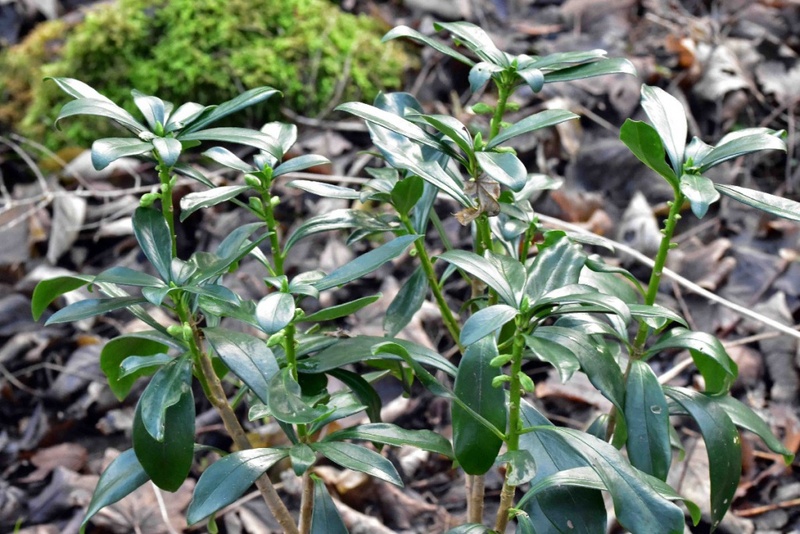 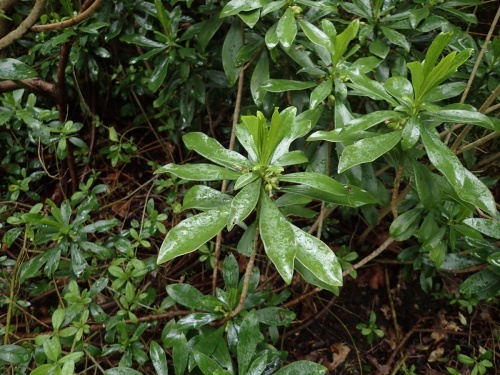 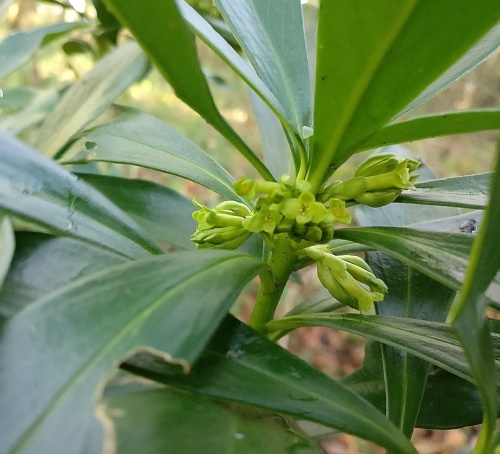 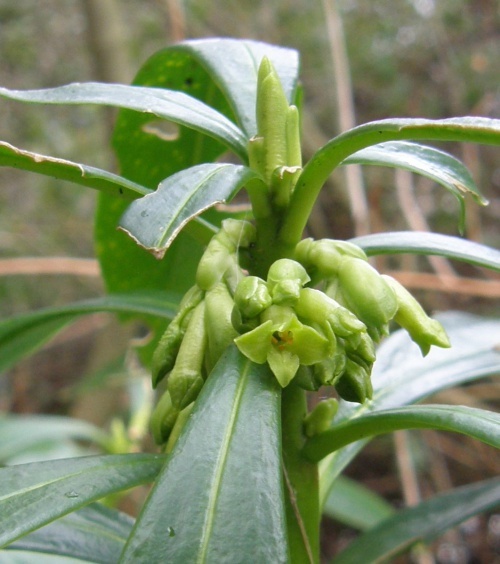 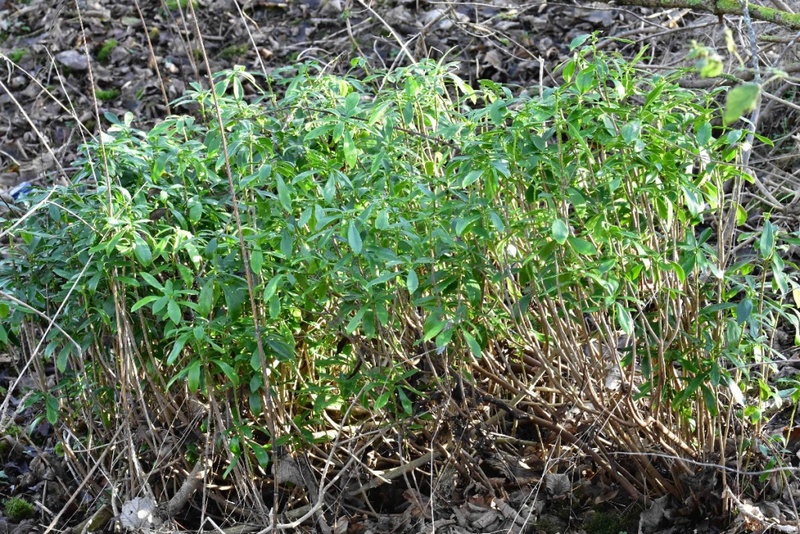 Daphne laureola is an evergreen shrub to 1.2 metres with glossy, dark green leaves clustered at the top of each stem. 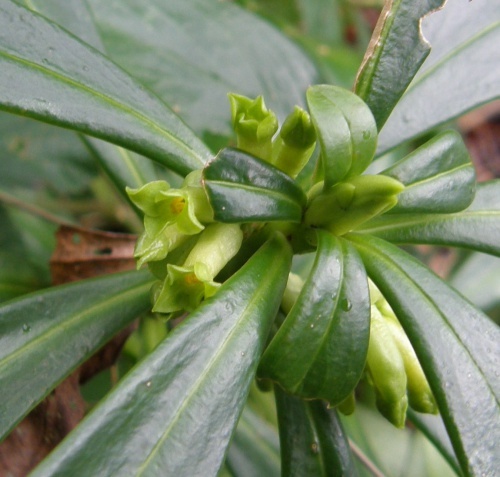 It has greenish-yellow, tubular, four lobed flowers which are borne in clusters of 3 to10 in the axils of the upper leaves. The flowers are followed by green, egg-shaped berries that turn black when ripe in late summer. 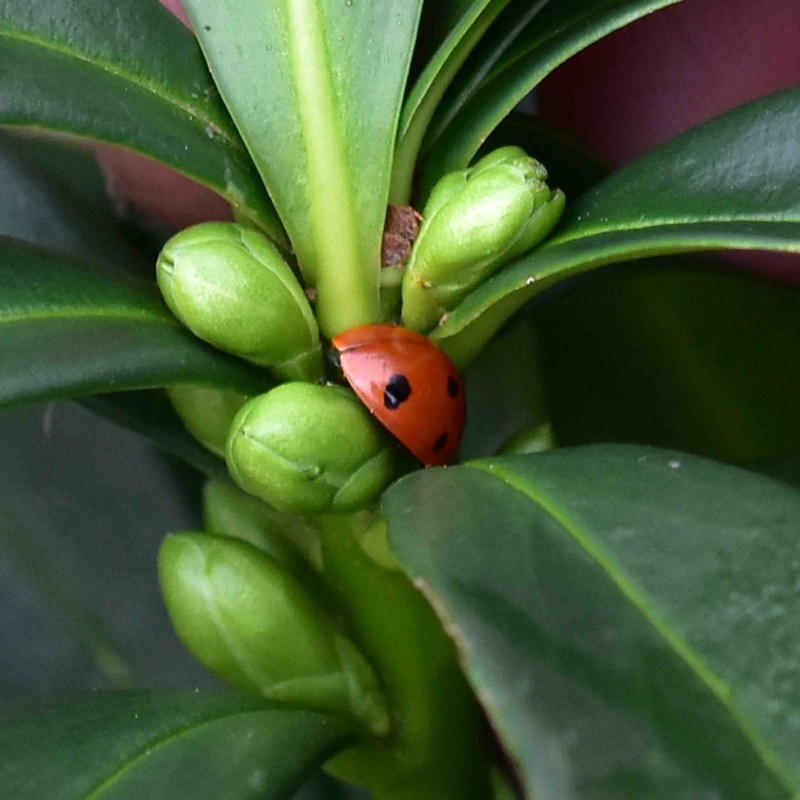 Poisonous to humans but not to birds. 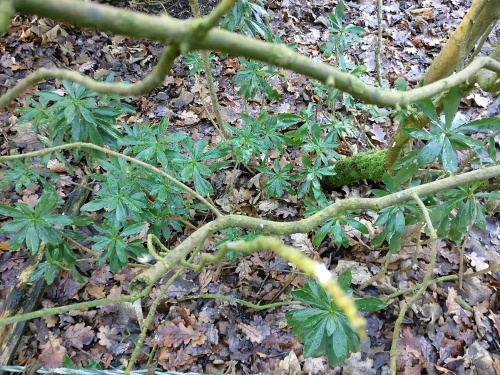 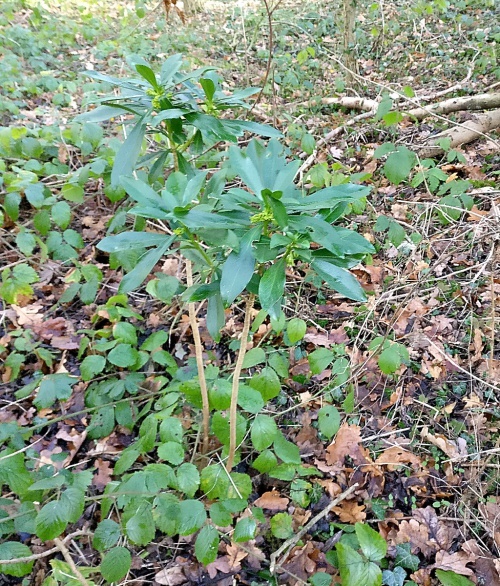 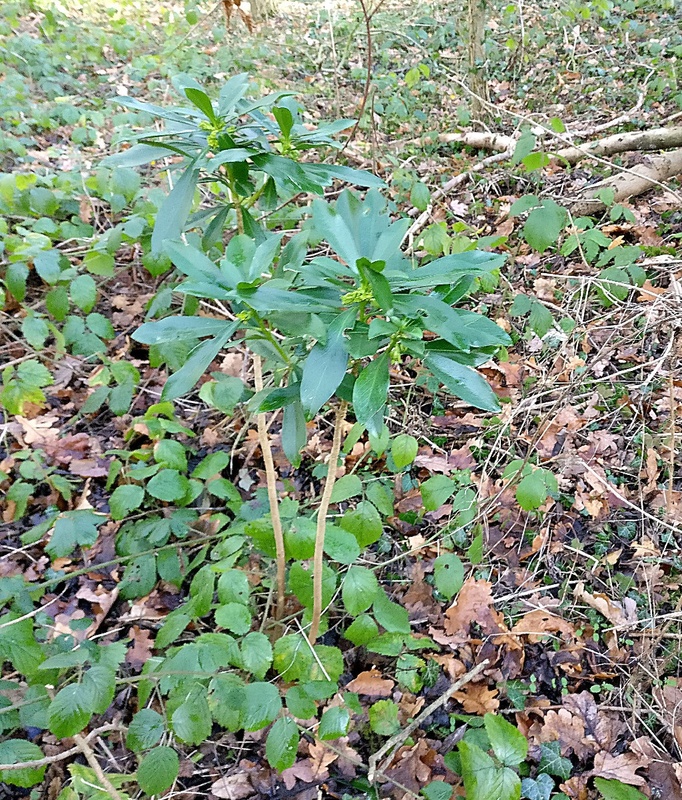 Woodland and hedges on calcareous soil. Flowers in winter, often in January. 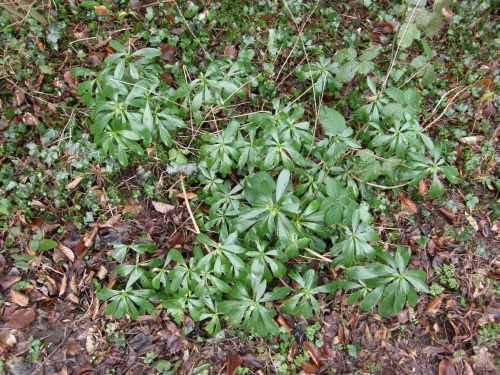 Widespread but occasional in much of England, less widespread in Scotland and Wales. 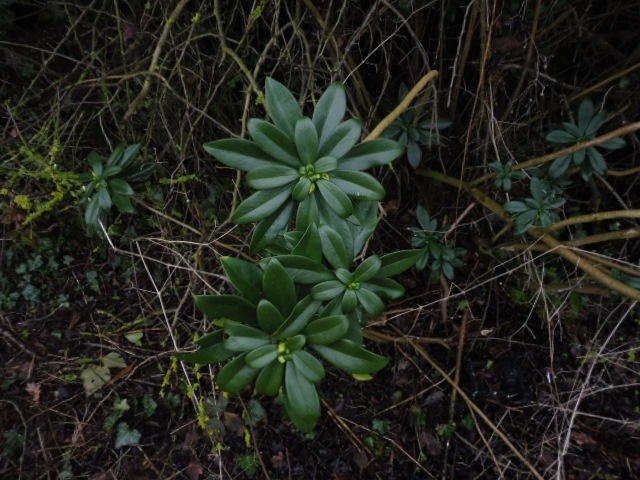 Infrequent, possibly nearly scarce in Leicestershire and Rutland and possibly declining. 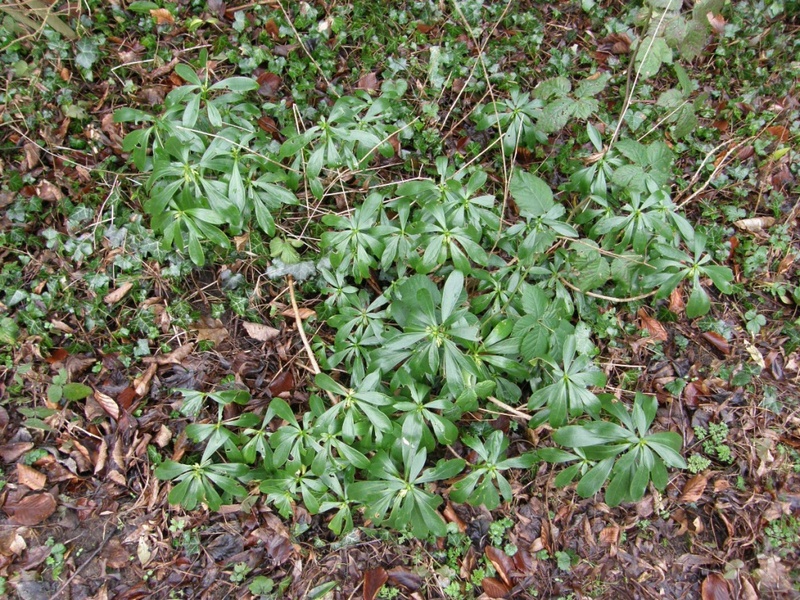 In the 1979 Flora survey of Leicestershire it was found in 17 of the 617 tetrads.